Boot & Shoe Cleaning Brush Only $13.99! Ships FREE!! You are here: Home / Great Deals / Boot & Shoe Cleaning Brush Only $13.99! Ships FREE!! Great to deal with snow and mud! 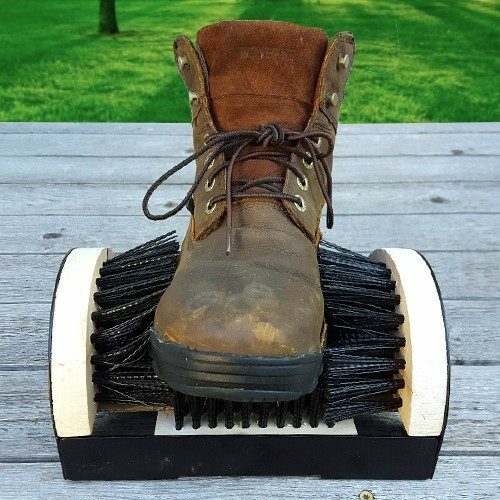 Order the Boot & Shoe Cleaning Brush for Only $13.99! Ships FREE!! The Cleaning Shoe Brush bristles remove mud, grass clippings and other debris from boots before they enter your home or business. This will keep your floor clean and your mind free of worry. Works best on boots, athletic shoes and golf shoes. Great for the clubhouse, dugout, house or garage. The durable construction will help you clean all your shoes without hassle.